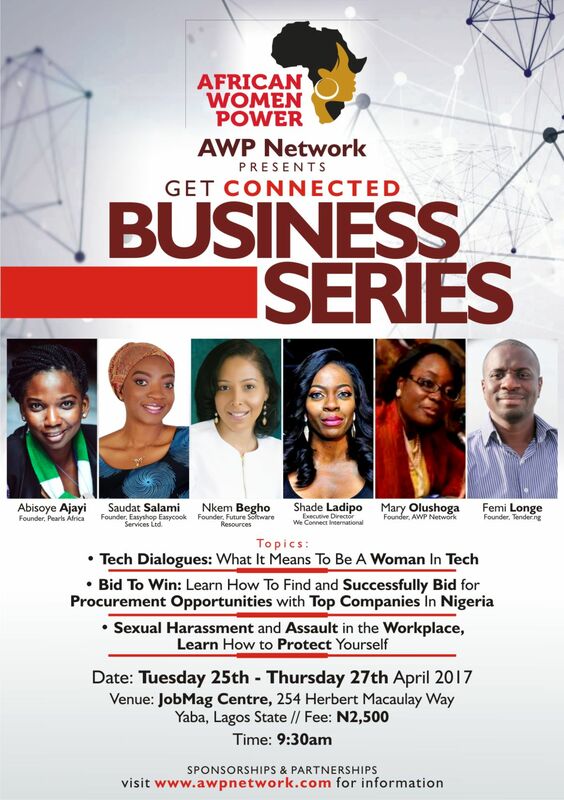 The African Women Power (AWP) Network will host the “Get Connected Business Series,” during the last week in April. The forum is created with the intention to provide insights and information needed to help entrepreneurs and employees grow and get to the next level. The event will take place at the JobMag Centre: 254 Herbert Macaulay Way, Yaba, Lagos and begins promptly at 10am.